I was given this book in exchange for an honest review from the author. I am starting to find that I enjoy Greek mythology books a lot. In fact, they are starting to become my favorite sub genre in Young Adult literature. This book was no exception. I loved the modern day spin on the tale of Persephone and Hades. I loved it even more that Hades is displayed as the good guy with the handsome looks and the mysterious qualities. I honestly think that Hades gets a bad rap, so I was thrilled that he was seen as a "swoon worthy" character in this novel. At the beginning of the story, I found Persephone to be a bit whiny and somewhat annoying, but throughout the course of the book her character was very dynamic and her attitude and actions of the end of the story were heroic. She really did become a Goddess at the end. There were so many Greek characters in the story that I would have found myself lost if I didn't have my handy dandy kindle with it's own built in dictionary. I think that I found myself caught up in the story and enjoying it more because I was able to look up the Gods and Goddesses. I am not sure how I would have felt about the story without these handy tools. One of the difficult things that the writer faces in telling the story of Hades and Persephone is that she cannot make it as much of her own as I would have liked. Because Persephone is such a popular Greek Goddess her myth can only be so creative. I think that Bevis did meet this challenge in a satisfactory way. Overall, I did like this book and I will more than likely read the sequel. 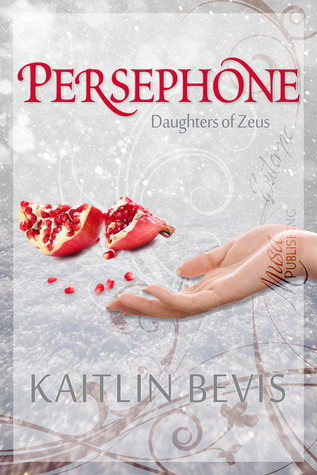 My young adult fiction novel “Persephone,” will be released this summer. I also write for Athens Parent Magazine, and truuconfessions.com. I have also published several short stories, my latest, Siren Song, is available on amazon.com. Hey! I just wanted to let you know that I nominated you for the Liebster blog award to accept just go to http://notjustaonenightstand.blogspot and follow the rules.